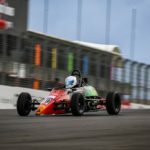 Taupō motor racing driver Conrad Clark is seeking some hometown support to make the next step in the emerging stars’ motorsport career. 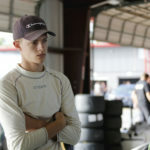 The 16-year-old has received an offer from an international team to join them for the upcoming racing season. 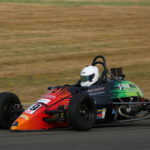 The Taupō Nui-a-Tia College student who has competed at a high level in his first two years of circuit racing..
Whakatane’s Reece Hendl-Cox, 19, has put on another dominant display in the 2018/19 Hi-Q Components NZ Formula First Championship, this time at Bruce McLaren Motorsport Park in Taupo. The event marked round seven and the penultimate round of the championship, making it a crucial round for those vying for higher positions in the championship. 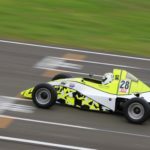 Hendl-Cox was one of those who..
Whakatane’s Reece Hendl-Cox, 19, has taken all three races at round six of the 2018/19 Hi-Q Components NZ Formula First Championship. 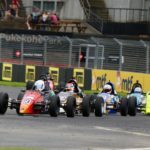 Taking place at Waikato’s Hampton Downs Motorsport Park, Hendl-Cox came into the weekend as the favourite after clean sweeping the proceedings last time out at Hampton Downs and holding a big championship lead. 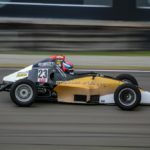 Saturday morning’s 15-minute qualifying session saw..
20-year-old Kapiti Coast driver Brody McConkey shined at the fifth round of the 2018/19 Hi-Q Components NZ Formula First Championship at Manfeild Circuit Chris Amon. The big headline though was Palmerston North’s Chris Symon, 28, returning to victory lane in the final race of the weekend and slashing the championship lead almost in half. A 15-minute qualifying session took place..
Whakatane’s Reece Hendl-Cox, 19, has stormed ahead in the 2018/19 Hi-Q Components NZ Formula First Championship after taking two race wins at Round four of the series at the New Zealand Grand Prix meeting at Manfeild. Series returnee Brody McConkey, 20, from the Kapiti Coast, topped Saturday morning’s 15-minutes qualifying session. 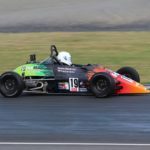 Championship leader Hendl-Cox set the second fastest time, just..
Hampton Downs, New Zealand, 27th January 2019 - Whakatane driver Reece Hendl-Cox, 18, has clean swept round three of the 2018/19 Hi-Q Components NZ Formula First Championship at Hampton Downs. After qualifying on pole, Hendl-Cox took all three races and subsequently the championship lead from Palmerston North's Chris Symon, 28. Saturday morning's 15-minute qualifying session was closely contested as expected..
Whakatane driver Reece Hendl-Cox, 19, has walked away from the second round of the 2018/19 Hi-Q Components NZ Formula First Championship with the largest points haul of the field. Hendl-Cox scored a podium finish and a race win in what was a chaotic weekend. 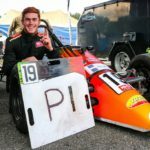 Saturday morning’s 15-minute qualifying session saw a slightly larger field of 20 cars take to the..
Palmerston North's Chris Symon has dominated the season-opening event of the 2018/19 Hi-Q Components NZ Formula First Championship, taking pole position and all three race wins at Manfeild Circuit Chris Amon in Feilding. 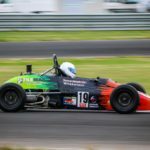 Saturday morning's 15-minute qualifying session for the 18-strong field saw 27-year-old Symon take pole position with a time of 1:23.588, giving him a massive seven-tenths of a.. 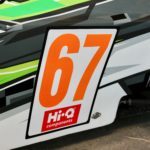 The Hi-Q Components NZ Formula First Championship has introduced a new initiative for its 2018/19 season. All drivers classed as rookies will run orange coloured numbers rather than the traditional black colour which the rest of the field will use. The change comes after the idea was floated at the class’ AGM in May and after working with the sports..